The Legend of Saint Julian the Hospitaller was published in Flaubert's story collection, Three Tales in 1877, along with his novella, A Simple Heart (aka, A Simple Soul ). 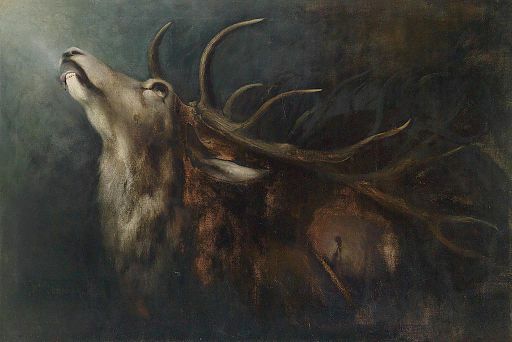 Painting is by Karl Wilhelm Diefenbach, Dying Stag, 1913. Return to the Gustave Flaubert library.